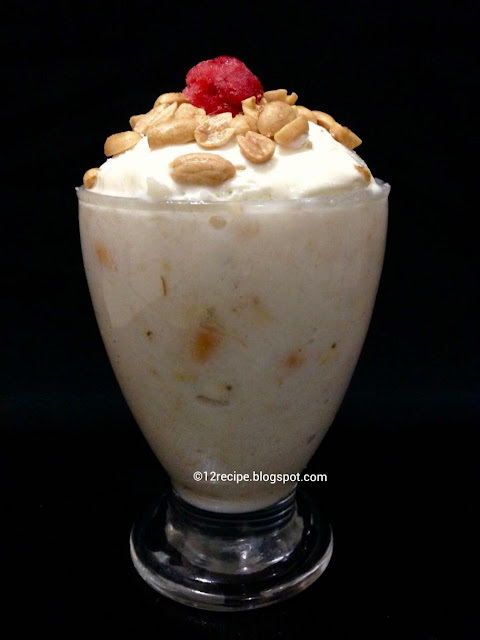 Avil Milk is a tasty and delicious Malabar special shake recipe using rice flakes, peanuts, banana and milk. Now it can found in most of the restaurant menu. It’s a Ramadan special delicacy also. The combination of banana and rice flakes is really yummy. We can use thick coconut milk instead of milk and it gives a nice authentic taste. Here is the recipe of perfect refreshing drink. Wash rice flakes through a strainer under cold running water for few seconds until soft but not get mashed. In a bowl, mash banana well with sugar by using hands or a hand mixer. 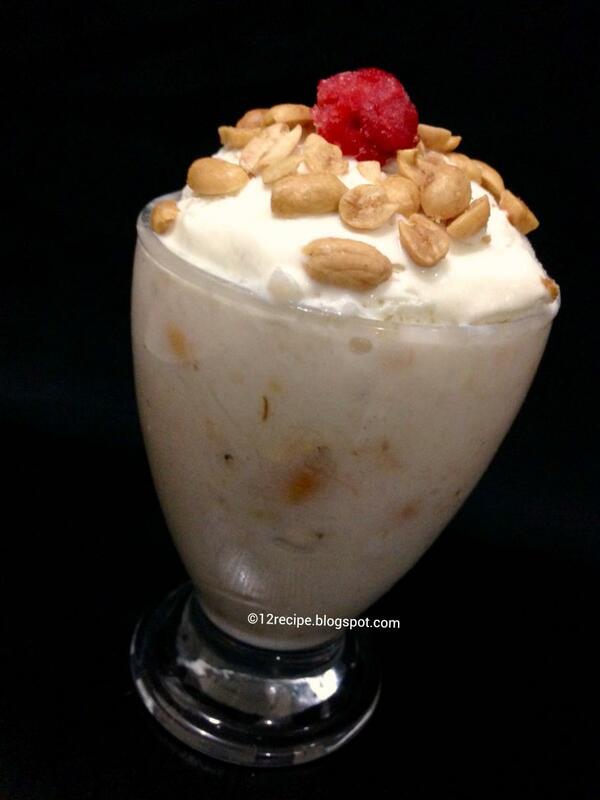 Mix it with half of peanuts, chopped nuts,coconut milk and cold milk (the consistency should be like a thick shake, adjust the amount of milk according to that level). Add in to two medium serving glasses and decorate on top with ice cream and peanuts. Serve soon and enjoy the taste! !